I learned about Harry & David’s new wine collection during a media trip with 12 other food writers. One of them was Sandy Coughlin, of Reluctant Entertainer. While Sandy is anything but a reluctant entertainer, her site and book are focused on helping those who are. Sandy offers tips and tricks to make even the most novice entertainer look like Martha Stewart. Sandy made our first night in Oregon spectacular, since hosting 12 people who write about food or wine can’t be easy. Using products from Harry & David’s store, she threw an amazing dinner party. One of my favorite items of the night was her mushroom soup, and I was blown away to learn it came from a bag, with some added love. I could not wait to come home and make the soup myself, and pair some wines with it. 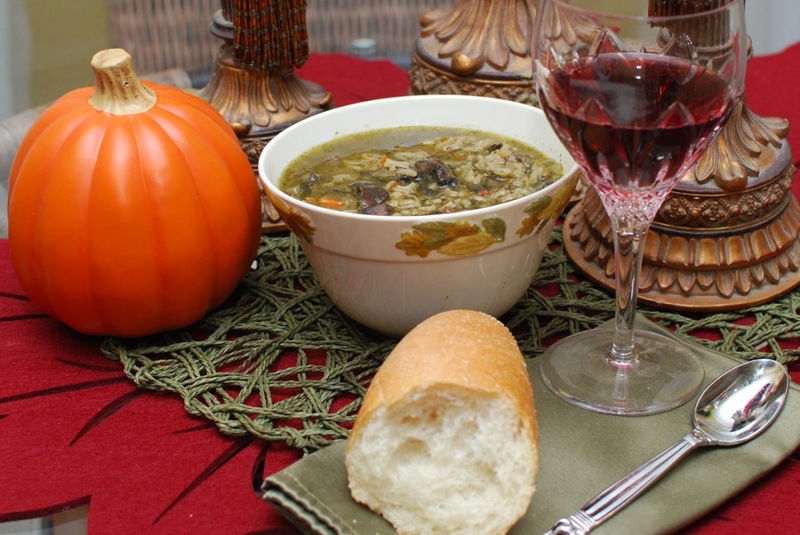 Keep reading, and I’ll show you how Sandy kicked up this soup, talk about the wines that pair, and tell you how you can win a gift basket from Harry & David. Mushrooms go well with many dishes, and many wines. People saute mushrooms for burgers or steaks, fold them into omelets, or grill them and eat them on their own. In terms of wines, mushrooms will go well with a host of them, including cabernet sauvignon, unoaked chardonnay, malbec, zinfandel, and of course pinot noir. In fact, there are some who think that the perfect mushroom pairing is pinot noir, whether from Oregon or Burgundy, or even California. I happen to be in that camp, and decided to buy two bottles of pinot noir at the grocery store while picking up the fixings for the soup. 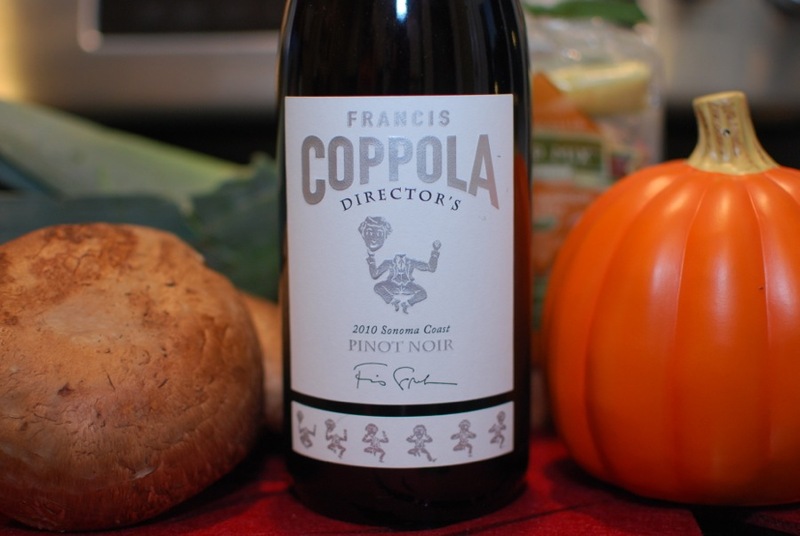 The first grocery store pinot noir I picked to pair with the mushroom soup was the Francis Coppola 2010 Directors Cut, Sonoma Coast, California. The lighter of the two options for the pairing, the Coppola ’10 Director’s Cut pinot noir has a bouquet of field strawberries, with earthy notes surrounding the red fruit. The acidity was noticeable on the nose, along with some smoky scents. The palate was a bit more fruit forward, more red raspberries on the palate than the strawberries on the nose, with a nice mix of smoke and cooking spices. The soup tames the fruit a little, and works very nicely. For $18.99, this was a well made, fresh pinot noir with nice length and good acid for food without being noticeable. 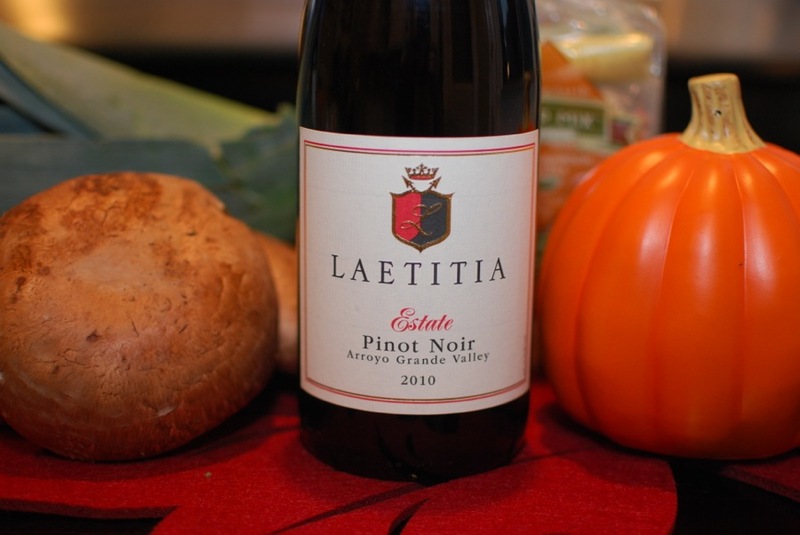 The second grocery store pinot noir was the $21.99 Laetitia 2010 Estate Pinot Noir, Arroyo Grande Valley, California. Not a very expressive bouquet, dusty red raspberries mix with faint scents of cocoa. The palate shows round red raspberries, fresher than the notes on the nose. There is a good bit of sweet spice from the oak used to age the wine, but it’s well integrated. The finish is long lasting, with those sweet spices turning into a dusting of black pepper. There are medium tannins, noticeable but not gripping. 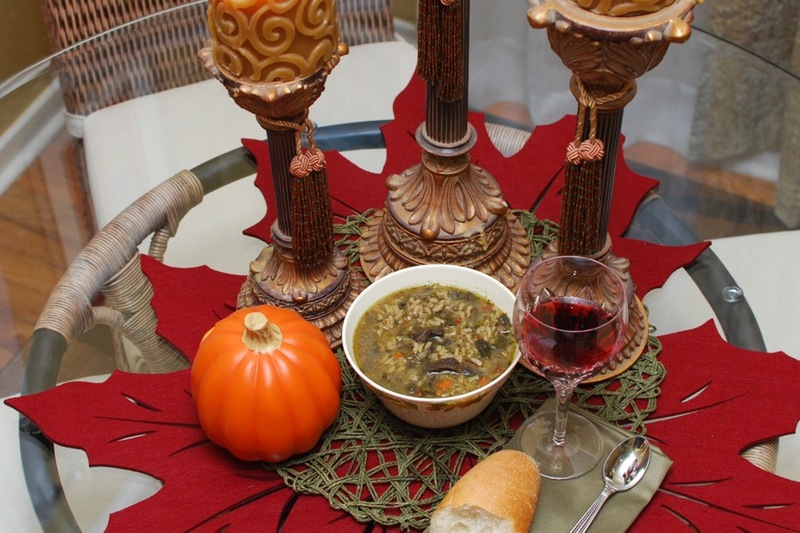 With the soup, the red fruit tastes a little darker, with some earthy notes more prominent. The description of this Harry and David gift basket is fantastic. Two gourmet new world Beehive cheeses and two handcrafted old world Creminelli salamis make this gift a savory delight for any meat and cheese lover. Award winning cheese coupled with some of the finest gluten and dairy free salami out there make for a lovely anytime gift. I’ll post a few wines to pair with it in the near future. Sandy inspired me to doctor up the soup, not that it needed it. 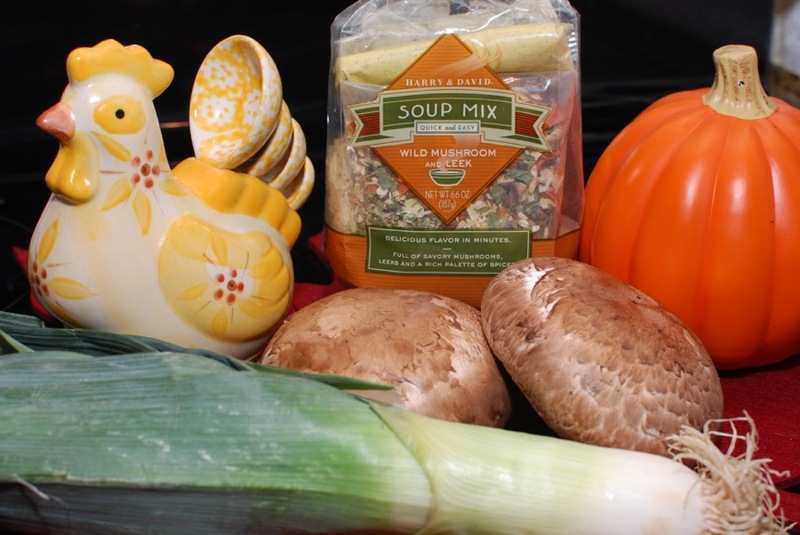 For one bag of Harry & David Wild Mushroom & Leek soup mix, you need two tablespoons of butter (in addition to the package directions), one leek, and two medium portobello mushrooms. 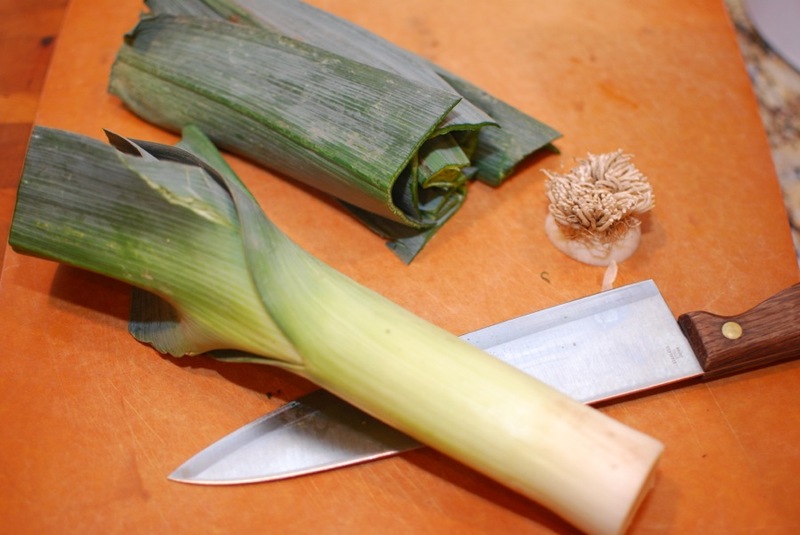 Slice and rinse the leek with water, and pat dry. 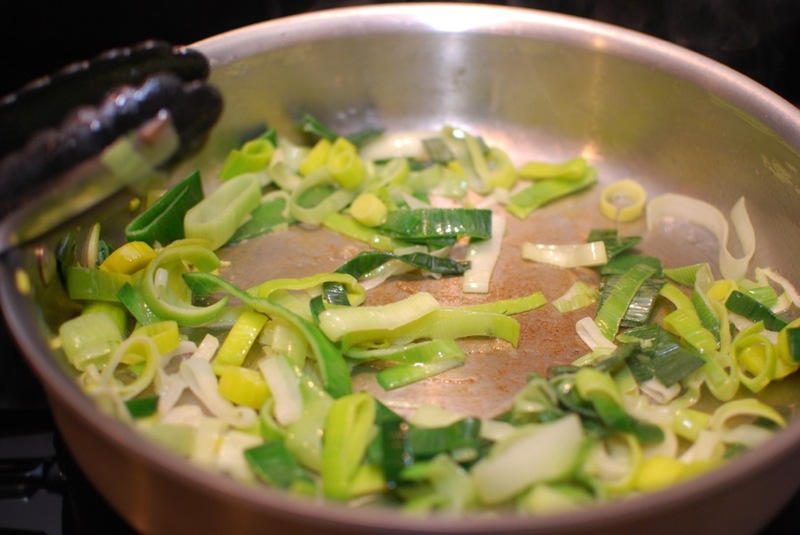 Melt the butter in a large skillet on a medium heat, then add the leek. Saute for 4-5 minutes, until they are tender. 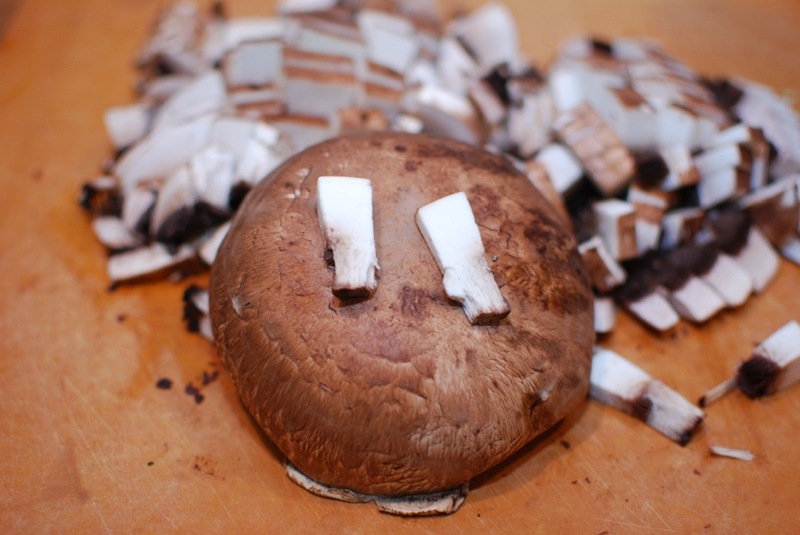 Slice the portobello mushroom in half-inch pieces, and add to the tender leeks. Saute for another 5-8 minutes, until the mushrooms are tender. Then, add to the soup mix in your 5 quart pot or bigger, and cook according to the package instructions. Don’t forget to enter the giveaway! 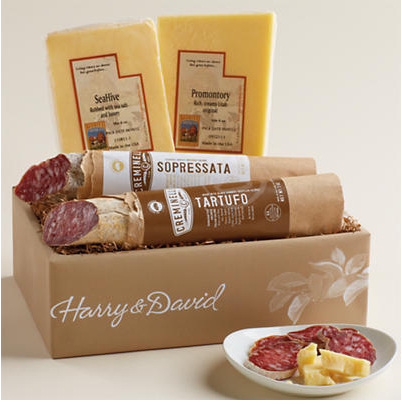 Harry & David will ship the winner the basket directly, and you’ll have a good time with wine!